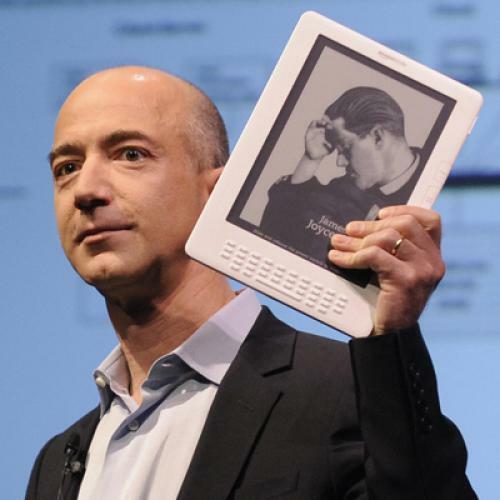 Amazon’s Kindle: Symbol of American Decline? Apple’s iPad is dominating the gadget buzz this winter, but a few years ago, we and others made a big deal about the “polyglot” iPod, turning it into a talisman of the globalized supply-chain. The point was to accent the global context in which U.S. prosperity must be maintained. Then we managed to find a mildly affirmative story of Apple’s superior ability to capture value by creatively managing seven suppliers located in four different nations with manufacturing dispersed across five different countries. That was then, though. More salient today as an insight into America’s standing in a globalized production system may be the backstory of another consumer electronics sensation--Amazon’s Kindle e-reader--yet here the story has a darker hue. This I learned reading an excellent forthcoming paper by Gregory Tassey, which referenced a very troubling blog post by the Harvard Business School professor Willy Shih, entitled “The U.S. Can’t Manufacture the Kindle and That’s Problem.” What’s the problem here? Well, according to Shih, the global distribution of Amazon’s production sources for the Kindle betrays a far less benign story of out-sourcing than did the iPod and one that suggests that it does indeed matter how and where U.S. firms locate their production. Amazon designed the Kindle in California and one of its key components, its "ink" (the tiny microcapsule beads used in its electrophoretic display), was designed and are being manufactured by E Ink, a company based in Cambridge, Massachusetts. But the majority of the value added in manufacturing the rest of the unit is being captured in Asia. The market research firm iSuppli estimates that the Kindle's total manufacturing cost is $185. The most expensive single component is the $60 display, which Taiwan's Prime View International is manufacturing. How is the $60 value of the display divided among the electronic ink, the glass/silicon substrate, and all the processing? That information is not public, so I don't really know. But I do know that a sheet of low-temperature polysilicon with transistors costs $20 to $30, and other processing steps, including the application of the beads to the glass, cost something as well. All this suggests that E Ink's beads account for no more than half of the value of the display, which raises the question of whether E ink could earn a sufficient profit from manufacturing just the beads to cover its R&D costs for developing the whole display. E Ink's ongoing effort to sell itself to Prime View suggest that the answer is no. The next most valuable component of the Kindle is the wireless broadband data module, which is supplied by San Diego-based Novatel Wireless and is made in Korea. iSuppli estimates its value is $39.50, an amount that includes a $13 Qualcomm CDMA chip that is also manufactured in Asia. Though chips like this are still designed in the U.S., the vast majority of them are manufactured in chip foundries in Taiwan, Singapore, and China, and then packaged somewhere in the region. Probably about $20 of the $39.50 goes to the U.S. companies. The Kindle [also] contains a microprocessor chip supplied by Austin, Texas-based Freescale Semiconductor whose cost is $8.64, according to iSuppli. I don't know where that chip is being made, but all the other electronic components, including the lithium-polymer battery, were designed and are being manufactured in Asia, where the capabilities reside thanks to its strong consumer-electronics industry. Of the total cost of $185, then, perhaps $40 to $50 [of Kindle’s manufacturing costs] is captured in the U.S.